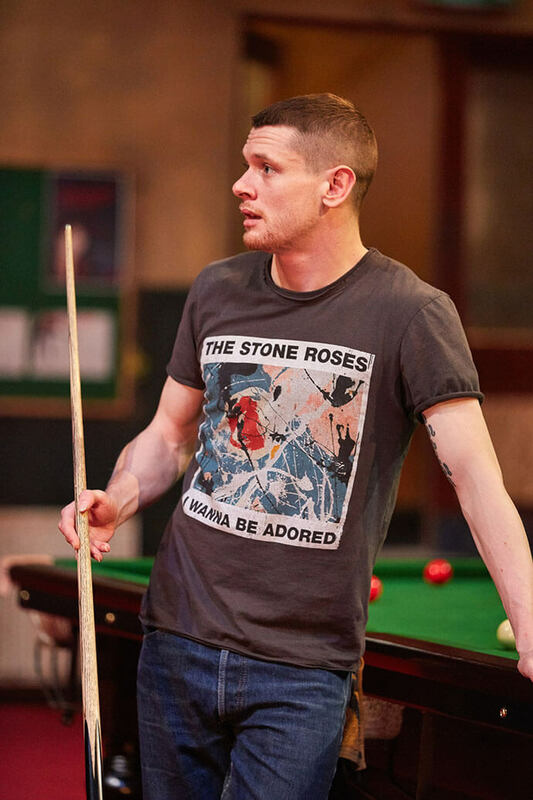 Bringing together the worlds of snooker and theatre sounds like an unlikely and decisively challenging task, but the team behind The Nap have managed to pull off a brilliantly funny production that captures the sport in all its glory. Custom made for the stage at the Crucible, it’s the perfect setting for the comedy-thriller that sees working class Sheffield lad Dylan Spokes (Jack O’Connell) attempt to keep his head in the game with all the integrity he can muster, whilst just about everyone around him is set to sabotage it for their own gains. 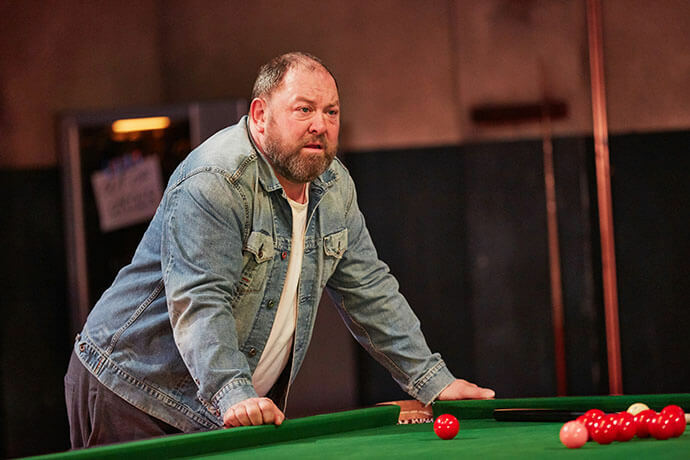 Penned by Richard Bean, the one-liners come thick and fast; despite not returning to Sheffield since his BAFTA-nominated role in The Full Monty, Mark Addy proves he still has more than a knack for capturing local colour. Louise Gold as one-armed gangster transvestite ‘Waxy Chuff’ equally offers up the laughs with frequent conversational blunders “This is beyond my wettest dreams” and Ralf Little is on form doubling up as Dylan’s bumbling manager and the Crucible commentator. While humour is what drives this play, the snooker has certainly not been overlooked. 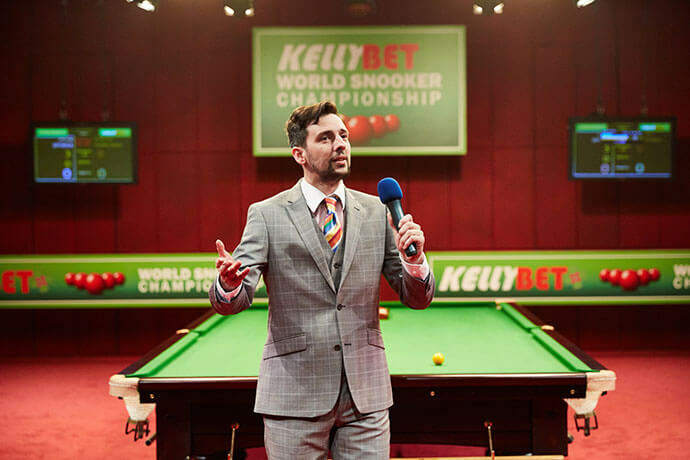 With professional John Astley on board and the snooker table at centre stage for the majority of the production, there’s plenty of actual play to keep fans of the sport satisfied. There’s a wonderfully transformative moment when the stage is set for the world snooker championships; the lights go up and a full frame is actually played. Since the play is revolved around match-fixing we know what is likely to happen, however this doesn’t detract from the pressure in the room and the game is played skillfully and realistically, making the whole thing credible. Where lead Jack O’Connell may have started off slowly in comparison to other larger than life characters, it is towards the end where he truly shines, in his entire chair throwing expletive shouting glory; proving that a play about snooker can consistently produce belly laughs from the audience without sacrificing any of the tension of the sport. It’s a fine balance and a true accomplishment from director Richard Wilson and cast. Let’s hope it returns next year. The Nap runs until April 2nd at The Crucible Theatre, for tickets and info head here.